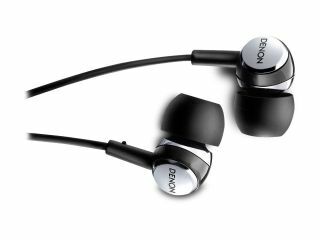 Today we're offering you the chance to grab a pair of Denon AH-C260 in-ear headphones for just £14.99. The AH-C260 earphones feature technologies for high-quality sound that are used in all of Denon's headphones, including the Acoustic Optimizer that achieves superior acoustic effects, Hybrid Housing made of a combination of different materials to absorb vibration and the Radial Cascade Damper to suppress noise transmitted through the cable. The result is a beautifully clear sound that rivals the quality of high-end models. For optimum wearing comfort, the AH-C260 is ergonomically shaped to fit snugly into your ears and reduce stress, allowing you to enjoy the music care-free. Normally selling for £34.95, you can grab yours for just £14.99 at the TechRadar deals site.